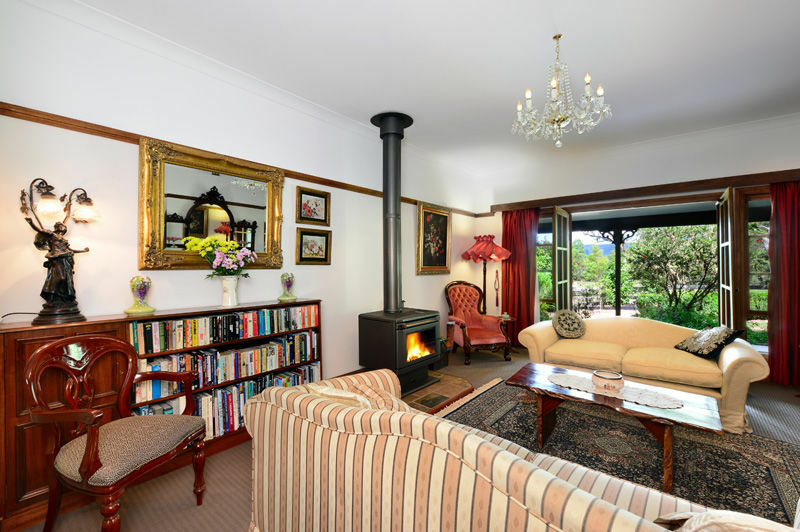 This room, complete with lovely traditional sofas, provides guests with a place to relax, sit by the fire, read, or enjoy a glass of wine. Soft light from the chandelier and the impressive chiffonier creates a classic, old-world ambience. 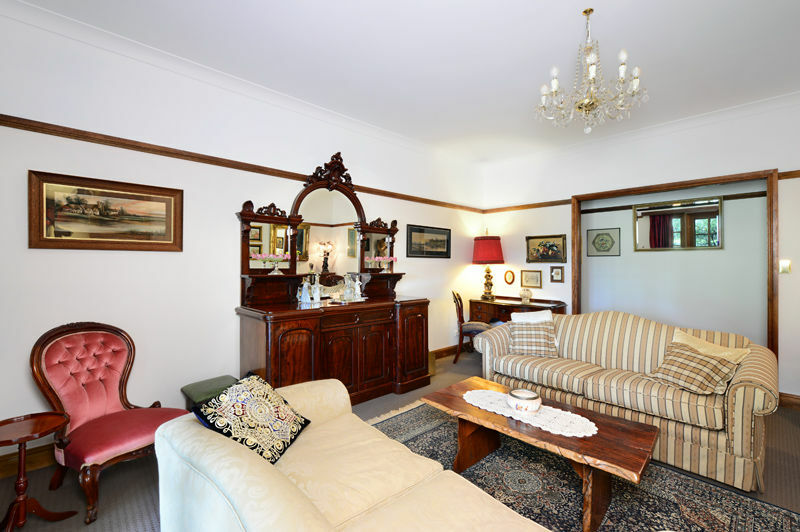 With large French doors opening on to the spacious verandah, this room is a place to rest and relax.